#MyDessertProject: 5 Unique Ice Cream Flavours to Try! Ending the December edition of this series with ice creams - I couldn't have thought of anything better! Ice cream is just a frozen food. 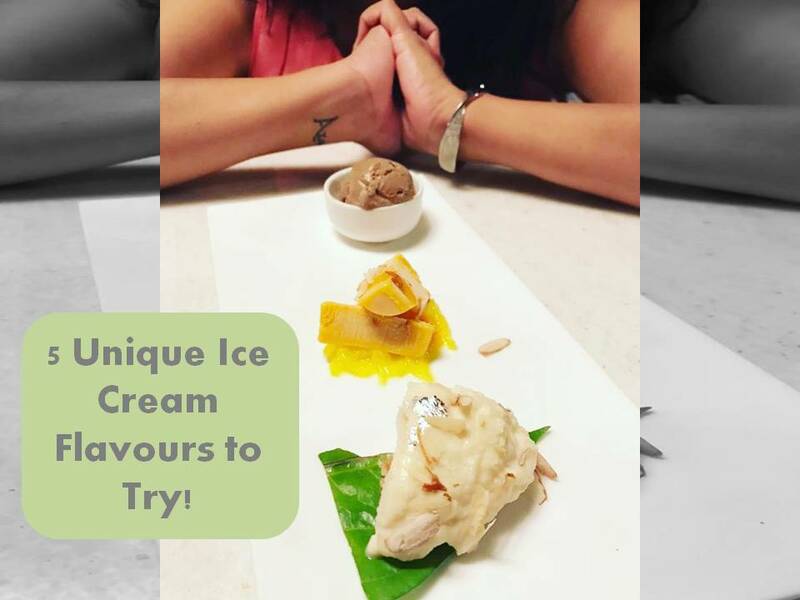 Made out of dairy products, ice creams come in so many different flavours that you need a life time to try all of them! I have had very weird flavours of ice creams. Figs, Indian blackberry, black tea - to name a few! Then there are ice creams which I haven't tried and would certainly not try in my life at least. There are bacon ice creams. Then you have curry flavoured ice cream. I might or might not like them but I guess by now I have established that I am a risk averse person and try to stick to the convntionals when it comes to food. However, there are certain flavours which are availble in India and are unique and "Safe" flavours to definitely try once! I am sure there are whole other lot which experiments with this sweet treat and the tongue but these are the ones which I have to share with you! My love for cotton candy is undying. And when I realized I can actually relish it in my ice cream as well, I can not even begin to express my happiness. 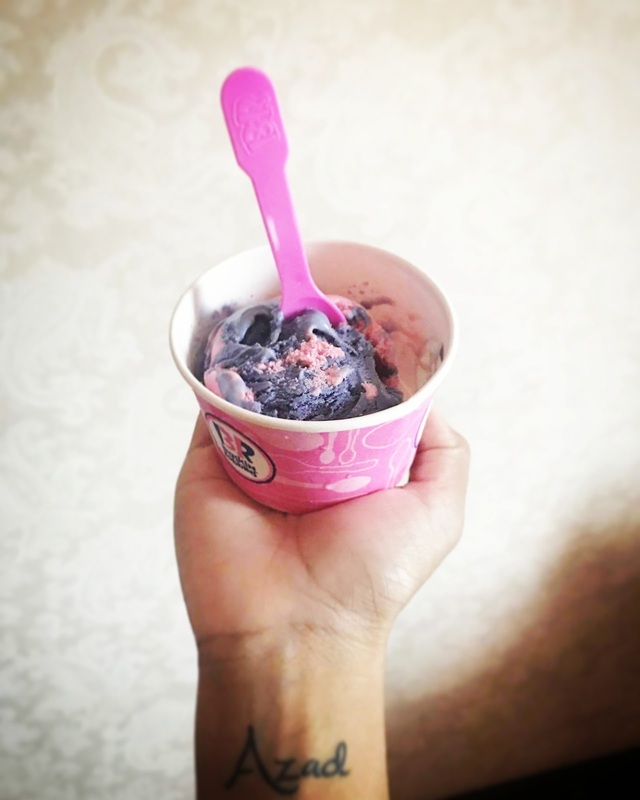 Cotton candy ice cream is available at Baskin Robin's. And trust me, you will love it if you are a cotton candy fan like I am. Though this is a pretty old practise but I was recently in traduced to this practise of adding ginger to your dessert - cakes and ice creams precisely. 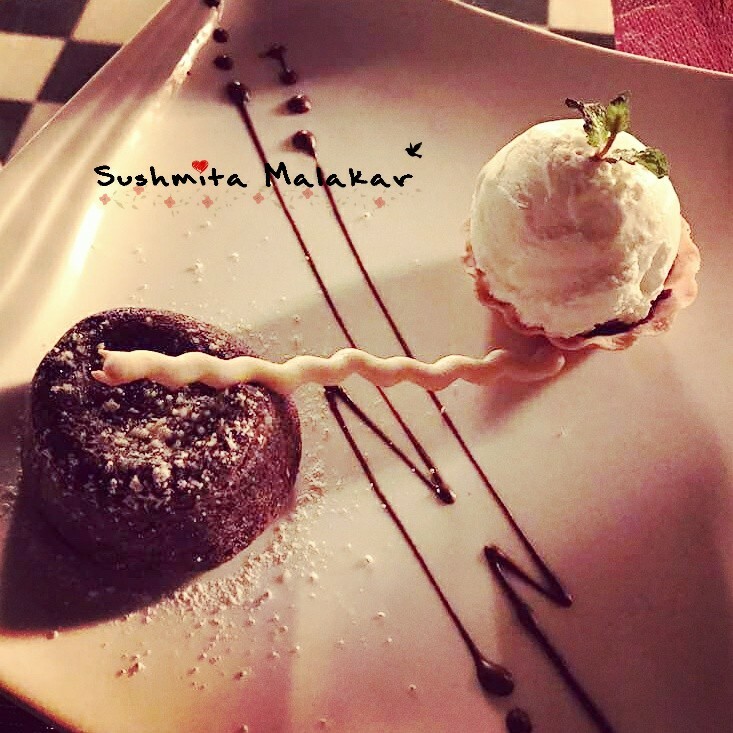 So I had this amazing molten chocolate cake with vanilla ice cream with a hint of ginger and mint in the ice cream. This was indeed the best way to end any meal. I had it in Udaipur at the Lakeview Restaurant, Radisson Blue. I am sure it is available at other places as well. I haven't come across any yet. I am a green tea lover. I have always maintained that the taste of green tea is acquired. But it's good for your metabolism, so why not? However, is it still good if you mix it with heavy cream and loads of sweetener and make ice cream out of it? I don't know about that but it surely calls for an indulgence for once! 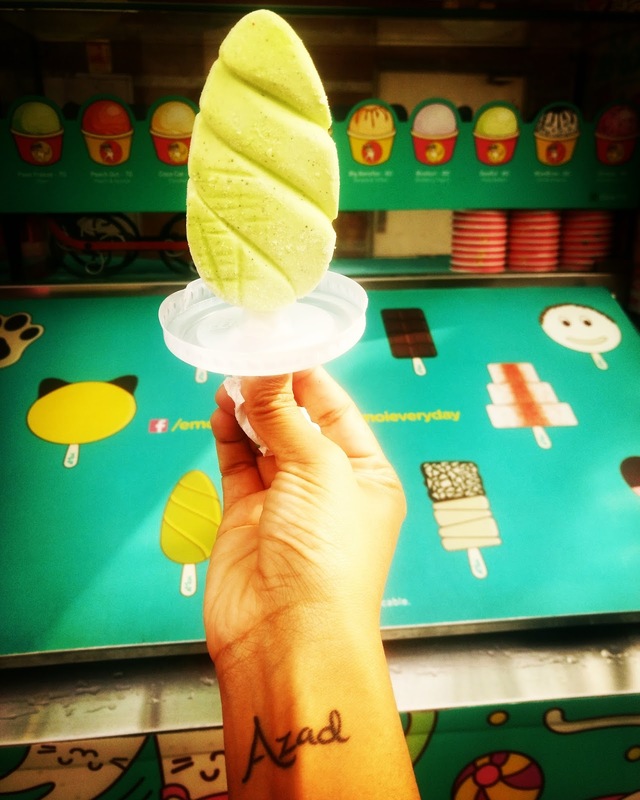 The green tea matcha ice cream available at the emoi food truck in Delhi Cyber Hub surely deserves a mention in this post! The next ice cream is a favourite of many. 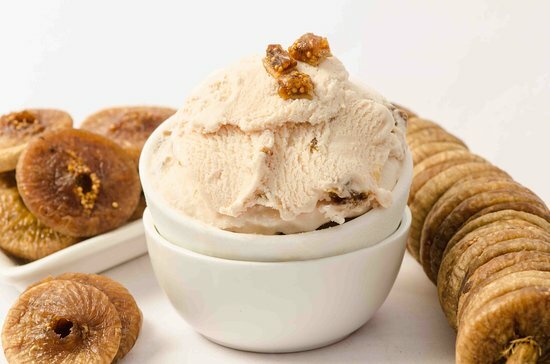 Anjeer or fig ice cream is just delicious. It is available at Natural's across India. 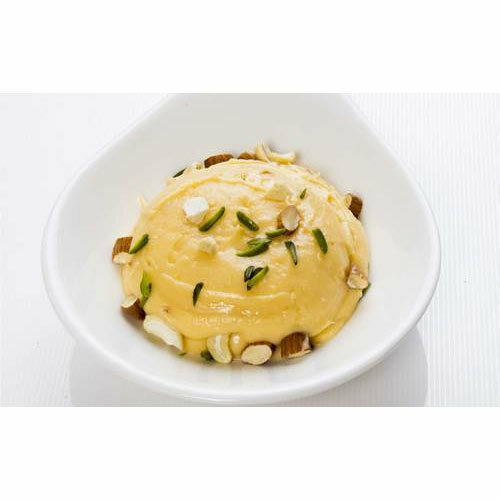 If you are fan of Indian desserts, then you will love the Rajbhog flavoured ice cream which is available at various ice cream outlets. I have tried the one at King's at Cyber Hub, Delhi. It is also available at Amul outlets. The best part about this is ice cream is that the exact taste of Rajbhog is replicated that too in a super cold base! What are the unique ice cream flavours that you have tried and would want everyone to try at least once? Leave in the comment section! Wow these look creamy delicious!